Men with graying hair may consider dying their hair. However, many of them wish to make the change less obvious, slowly darkening gray hairs. This is done with a type of dye called progressive hair dye. However, the main issue is that the component responsible for gradual hair dying is lead acetate, which results in health risk, especially with the frequent use of the product. More Information click here. There are facts and myths about hair loss. One of them is that stress causes hair loss – the follicles have a cycle in which they shed hair and grow it again, however stress disturbs that cycle, shortening the hair grown phase. Also, over-styling is related to hair loss, because it causes breakage close to the root. Check all the facts about hair loss. Additional info click here. Testosterone is present in everybody, but women have far less than men. However, there is about 7 percent of women that produce excess testosterone, and the cause is usually polycystic ovarian syndrome (PCOS). The symptoms are persistent acne, hair growth on the face or chest, hair loss, deep voice, among others. Click here for more information. There are many hair growth options like vitamins and treatments but, do they really work? Before evaluation them, it’s important to visit the doctor and find out the reason for the hair loss, which can be aging, stress and hormonal changes, or illness. Hair growth vitamins line biotin will have a gradual effect. Scalp massages will improve circulation and will also have a subtle improvement. 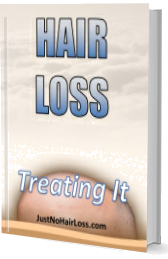 Prescription medication will stop hair loss and show subtle hair growth. Check all the treatments. Additional information click here. Many people invest in hair shampoos and conditioners, but keep the same lifestyle, not drinking enough water and continue with a poor diet. There are foods with health benefits for hair. For example, spinach contains vitamins C and E and beta-carotene, which have anti-aging properties and also help control the effects of UV rays. Fatty fish, sweet potatoes and avocado have also health benefits. Check all the list of foods. Additional information click here. In sunny days, people take protection with sunscreen on their faces, arms, and legs. What about the hair and scalp? Excessive exposure to the sun can cause dry, weak, and brittle hair, resulting in breakage, thinning, split ends, and even hair loss. Apart from using a hat, people must treat their hair with conditioners, and sprays with UV protection. Click here for more info. We lose a small amount of hair every day as part of a natural process, which is replaced by new hair. What happens if the replacement hair takes too much time to grow? There are products called scalp stimulators, which will nurture and unclog hair follicles. Additional info click here. A study has shown that a percentage of men over 40 experience a hormonal change known as “male menopause” or andropause. The testosterone levels decrease. Which can lead to sexual health problems, such as erectile dysfunction and reduced libido, and also lethargy, anxiety, depression, hair loss, and insomnia? Additional information click here. There are beliefs about shampoo that are incorrect. One of them is about dry shampoo, which can clog the pores and follicles – this product absorbs excess oil and its good for an emergency, but using it for days will make the hair itchy so it’s better to clean it off with normal shampoo. Another is related to shampoos that are pH-balanced when the truth is that all shampoos are pH-balanced. Also, some people believe it’s better not to shampoo, since it removes the hair’s natural oils, while the truth is that hair is covered with dead skin cells, pollutants and even other products, like mousses, so it’s better to shampoo. Check all the shampoo myths. Click here for more information. Many of the chemicals in shampoos, makeup, deodorants, and other personal care products are absorbed through the skin. The problem is that some of them are related to headaches, diabetes and even cancer. In the EU, there are more than 1500 chemicals banned from use, while in the US there are only 11. So what to do about it? More Information click here. Black tea can be used as a natural hair treatment if you wish to avoid products with harsh chemicals. It is more oxidized and has more caffeine than other types of tea. For example, it can be used as a natural dye to treat gray hair. It can also delay or stop hair loss, blocking the action of DHT, a substance derived from testosterone, which is the responsibility of male pattern baldness. Another use is for treating dandruff, due to its anti-inflammatory and antiseptic properties. Black tea can also take care of split ends, and greasy hair, among others, Check the full list and how to use it. More info click here. Smelly hair is a sign of bad hygiene. It can also make you feel bad throughout the day, while clean and fresh hair can elevate your mood. If there is no time to shampoo the hair, one trick is to use body spray on the hair. Another quick solution is dry shampoo, but only to be used once in a while. Also, you can have a good smelling shampoo for special days or a no-rinse conditioner. Check all the tips. Click here for more info. Full brows are in fashion again. If you over-tweezed them, there is still a solution for growing them again. Growth cycles are present in the body: hair, nails, even nose hair. Not touching the eyebrows for 8 weeks will help. However, there are products and treatments which will give fuller eyebrows. More Information click here. Many people believe that shaving the head promotes the growth of healthier and thicker hair. The truth is that it has nothing to do with it, because a thicket and denser hair depends on the number of follicles, and it remains the same. When the hair grows back, there is an illusion of thicker hair because the tips of the hair are blunt, due to the shaving. However, if the hair has been damaged by chemicals or heat, new hair will be healthy and undamaged. Also, the scalp gets cleansed if there was dandruff. More Information click here. Castor oil can help reduce hair loss or thickness, due to its fatty acids, Omega 9 thick oil derived from the castor bean, and essential vitamins. It promotes hair growth and stimulates circulation in hair follicles. Additional information click here. In the next years, baldness might be a thing of the past. Japanese companies are teaming up to develop a procedure to regenerate hair follicles. Actual treatments include hair growth products and hair transplant, which also transplants the follicles. Click here for more information. There are facts about reducing hair loss, but there are also myths. For example, washing your hair in cold water – it will improve circulation, but won’t prevent hair loss. Another one is about losing hair every day – it is normal to lose approx.100 hairs per day, but losing more and in a pattern can result in baldness. Check all the myths. More details click here. Hair thinning can be affected by the diet. A lesser intake of protein and nutritious foods will worsen the hair condition. Also, healthy diets like fresh fruit for breakfast or lunch with chicken or fish are excellent for the body but not enough for the hair. Specialists recommend taking at least 120g of protein for breakfast and lunch. Also, it is important to have snacks between meals so the energy to form hair cells does not decrease. On the other hand, there are foods that must be avoided, such as tuna or swordfish due to their high amounts of mercury. Click here for more information. Thinning hair affects women as they age. One solution is to try regrowth drugs. However, a good haircut can create the illusion of fullness and density while concealing problems. Coloring also can help. Click here for more information. It is normal to lose from 100 to 150 hairs per day. More than it can be considered hair loss. A scalp massage will stimulate blood flow and help the follicles. But if you do it with a massage oil with moisturizers, conditioners, and antioxidants, it will definitively be a plus. Check how to do make the massage oil at home. Additional info click here. Dry shampoo can reduce significantly the time for the shampoo and conditioner morning routine. However, it soaks oil from the hair, so, if overused, can lead to follicle inflammation and hair loss. Additional details click here. Alopecia occurs in 5-10% of dogs and it results in hair thinning or hair loss. It is the symptom of a more serious condition in the animal. It can be caused by parasites, infections, allergies, or organ malfunction, among others. Additional information click here. Modern life has many advantages, but also we are surrounded by smog, toxins, foods with pesticides, smoke, all of which have free radicals, which are one of the causes of cancer. These are fought by antioxidants, like vitamin C, Beta Carotene, which is great for hair, and vitamin E. Additional details click here. There are low-cost options that may help men regrow or slow down the balding process. These are two drugs called Minoxidil and Finasteride, which run by the name of Rogaine and Propecia. However, which is better? Finasteride is an oral prescription pill and requires three months for initial results. Side effects might include erectile dysfunction. According to specialists, it is a lifelong medicine and increases hair follicle count. On the other hand, Minoxidil is an OTC medication which comes as a solution or foam. Results can be seen after four months, and side effects might include an itchy scalp. So which is better? Additional details click here. Recent studies have found interesting facts about alopecia and hair loss. For example, patients with alopecia areata have less risk of suffering a stroke, innovative treatments for hair loss such as laser did not show a positive effect on hair count, while platelet-rich plasma did show a benefit. Click here for more info.